After all concerns about the birth, discharge from the hospital, pleasant emotions with friends and family, you look at yourself in the mirror and think you will hardly ever regain your previous figure. It is a fact that all pregnant women increase their weight more or less. But this weight cannot be called excessive – the body can “account” for all of it: 4-5 kg are for the increased uterus, 1 kg-for the breasts preparing for lactation, 1.5 kg – because of the increased blood volume, 1 kg – for interstitial fluid. If you add 2.5 to 4 kg for the baby, you will receive fairly accurate the weight, which doctors advise you to gain during pregnancy. However, your weight will probably be more than the anticipated, if you have followed your grandmother’s advice to “eat for two”. There are also other factors for that. Some mothers do not move enough, and furthermore, the hormonal background changes -progesterone and prolactin navigate metabolism to accumulation of fats. You have been gaining weight for nine months. Logically, to lose weight you need at least another nine months, which can be conditionally divided into three periods, each with its own characteristics. First quarter: It’s obligatory that you have enough sleep! The phrase “Newborns sleep 15 hours a day” does not always correspond to reality. Even calm babies don’t let their parents have their profound rest neither at daytime nor at night. Young mothers often realize that they don’t manage to lose weight and they panic. Regarding hormones – prolactin and progesterone still dominate. This means that the appetite is increased, and the belly and hips remain the most problematic area. Lack of sleep and poor sleep is another factor that makes it difficult to lose weight. What will help you lose weight? Breastfeeding is also an obstacle for losing weight. If the birth has proceeded without complications and lactation has normalized, the overweight will be reduced – fat is consumed for the formation of milk. On the average, the body will lose 30-40 grams of fat per day. Do not follow a strict diet, but do not continue to eat for two. Breastfeeding mothers often make several mistakes: they try to take more fat products (to make their milk more satiating) or eat too big portions (to have enough milk). Prolactin secretion does not depend on how much you eat but it depends on the activities of other female hormones (estrogen in particular) as well as on your mental health. Your mood and sleep are much more important than the volume of meal. Second quarter: All have to walk! The child is growing – it weighs twice as much compared to birth, sleeps quietly and begins to actively get to know the world. During this period, the most vulnerable aspect for mothers is their psychics. According to statistics, particularly in the second quarter, there is an increased likelihood of postpartum depression. Maternal weight, which has stabilized after birth, begins to increase in about 6 months. Most often, the reason for this is the emotional condition. The hormonal readjustment continues, and the child, like before, requires a lot of strength and attention. Diets at this stage usually do not give the expected result and they can lead to an even worse emotional condition – stress of the inability to be both a good mother and an attractive woman. Pram. During the walks, the child is happy to see the world and the mother walks a few hours a day. Take exercise. There are different groups for mothers and babies. Their main task is to improve the muscle tone. 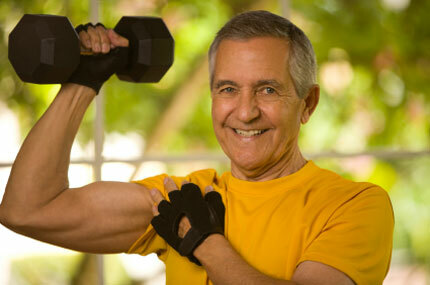 Fats burn more quickly in exercised muscles, and appetite decreases; Exercise is a good way to overcome depression. Third quarter: proper nutrition is essential! The child is now sufficiently independent in moving and it cannot be left alone even for a minute. It is time to think about dieting. Replace fat products with nonfat products, do not forget the foods rich in animal protein, calcium and iron. Use more vegetables, milk, cheese, fish and meat without fat. Between meals, allow yourself only a cup of yogurt with a spoonful of granola added. Most nursing mothers love sweets. In this way the body signals the lack of carbohydrates. Use pasta of hard wheat types, wholemeal bread and skimmed milk. In this way you will lose an average of 1-2 kg per month without depriving your body of necessary substances. • Rule № 1: Do not overeat – eat frequently but in small portions – 5-6 times a day. • Rule № 2: Do not finish leftover food – baby food is very caloric. Harmless porridges and soups will quickly contribute to obesity. • Rule № 3: Do not starve – the body will be stressed and it will start accumulating reserves. • Rule № 4: Do more walking – the more, the better. Ideally 1.5-2 hours a day. • Rule № 5: Carry the child – buy a Kangaroo carry and often carry the child in it. The load is evenly distributed and the spine is not overloaded.